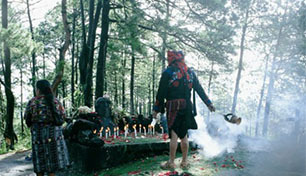 Iximche is located in the department of Chimaltenango at 2100 m above sea level. This site is the historical Mayan city where the Spaniards were received and welcomed as friends by the maya kakchiquel. It is the place where the city of Guatemala was founded in 1524 too. Iximche was founded circa 1460 and was built in top of a platform surrounded by deep canyons and broken ravines that was a natural fortress. 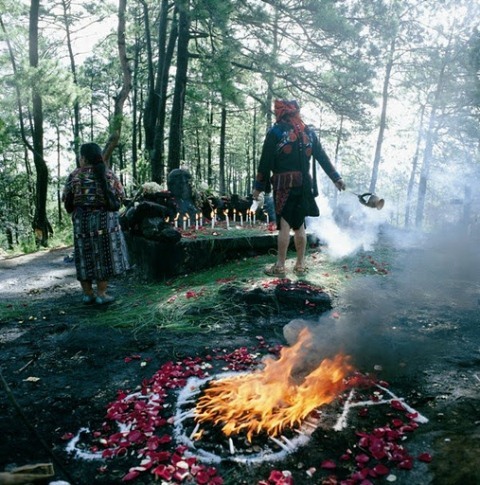 This site is composed by three restored plazas and a dozen of uncovered mounds framed by lots of pines and oaks including a little plaza which is used as a sacred shrine by the Mayan priest. They perform ceremonials in the place that links them with a past of glory. Is probably the only Mayan ruins where most of the visitors are maya people. Iximché also contains two ball courts (one restored) and a little museum. An average visit to the site will last 90 minutes. Nearby there are restaurants with a high quality so it is a favorite spot to stop and experience the Guatemala´s cuisine.